Building on a 20 year foundation, ISOPP has established a strategic plan that will advance global engagement, advocacy and education for its members. Watch the video below to learn about the plan. Since ISOPP’s 2016 Annual General Meeting (AGM) in Santiago, Chile, ISOPP members have engaged in leadership roles like never before. There are 13 committees, task forces and work groups consisting of over 60 members volunteering their time and all working to move the strategic plan’s missions and goals forward. To them I say a big Thank You!! These are exciting times with member engagement at an all-time high. Ten candidates from ten countries on the 2017 election slate is testament to this. Also, in response to priority three of the strategic plan: "Mobilize oncology pharmacy community around collaborative advocacy initiatives", ISOPP is organizing a Global Oncology Pharmacy Summit taking place immediately prior to the 2017 Symposium in Budapest at the Budapest Marriott Hotel on April 24 and 25, 2017. The purpose of the Summit is to start the conversation on how to advance global cancer care though collaborative action. The desired outcome is to support advancements in global cancer care through collaborative action. You can learn more at the 2017 Symposium, through our member communications, postings to the website and through social media. In the meantime, please assist us gather some baseline information with respect to advocacy activities related to drug access that Oncology Pharmacists engage in at the institutional/regional//national and international level(s) by completing a 5 minute survey ahead of the Summit and by March 31, 2017. Click here to complete the survey: https://www.surveymonkey.com/r/3QQHQQM. We also ask you to share the survey link with any and all colleagues you know that engage in any of these activities. Participation is voluntary and can be done anonymously. We request contact information for the sole purpose of clarifying any responses. Another important milestone since the 2016 AGM, is that ISOPP continues to make progress with the process of incorporation in Canada. Following the membership approval of moving forward with incorporation in Canada, the ISOPP Secretariat and Governance Committee have worked closely with legal representation from Canada to facilitate a smooth transition. The goal of this work is to assure our bylaws continue to accurately represent our organization's mission and values and were adapted to maintain alignment with our historic bylaws and meet all legal requirements. ISOPP’s Bylaws are currently under review by the members. The review period will end on Friday, March 31, 2017, after which, the membership will be asked to vote electronically on the acceptance of the bylaws. We invite questions and feedback. Visit http://www.isopp.org/communication/isopp-news/2017/canadian-incorporation-and-bylaw-review for more information (log in as a member to view). With the 2017 elections (log in as a member to view) underway, I am looking forward to our AGM taking place on Thursday, April 27, 2017 from 11:30 to 12:30 (CEST) at the Budapest Marriott Hotel and the opportunity to see you and talk with you. Hope to see you there!! The ISOPP Annual General Meeting (AGM) was held at the ISOPP Symposium in Santiago, Chile on April 20, 2016. View a copy of the core slides presented during the meeting. As I think about the AGM, and the ISOPP Symposium in Chile, two key things come to mind. This year we have celebrated the 20 years of ISOPP, and during the meeting in Chile there was both a celebration and an acknowledgement to all ISOPP members that have made the organization a success. In addition, we celebrated the future of ISOPP and oncology pharmacy throughout the world. A primary focus of the AGM was the discussion of the Strategic Plan for ISOPP. It was a time to look at how we continue to build on the foundation established, and to assure alignment of the key priorities set forth in the Strategic Plan with ISOPP membership. Of course, all ISOPP members are not able to attend each symposium and AGM. To assure that every member has the opportunity to review the ISOPP Strategic Plan and share their thoughts and ideas the plan can be viewed here. As we move forward with the vision to “advance oncology pharmacy care for patients throughout the world” there are many opportunities for ISOPP members to contribute to the efforts that support the three key priorities identified. Engage members around the ISOPP vision and inspire the global oncology pharmacy community to take action. Deliver enhanced professional development resources. Develop and mobilize oncology pharmacy collaborative advocacy initiatives. So that ISOPP is positioned to move forward and deliver on key initiatives there is a need to evolve the structure of the organization. 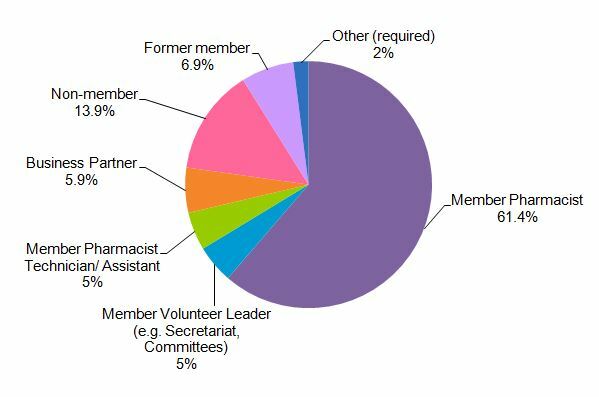 Changes in the organization structure provides an even greater opportunity for ISOPP members to volunteer and participate; including contributing to ISOPP committees, taskforces and work groups that are essential for the successful implementation of our Strategic Plan. Volunteer opportunities are available. Look for ways that you can share your skills to support oncology pharmacy throughout the world. ISOPP continues to mature as an organization. Twenty years ago this organization was built by dedicated and committed oncology pharmacists from across the world. Many of the most successful components (e.g. ISOPP Newsletter, ISOPP Website) that support ISOPP today are built from work of past leadership and membership. The continued success of these efforts is due to the members and leaders that have advanced the initial ISOPP foundation over the last 20 years. The Secretariat and ISOPP leadership have spent the last year taking a look at the organization, and have developed a plan to build for the future. The ISOPP Strategic Plan that will be presented at ISOPP XV in Chile, and subsequently shared with membership on the ISOPP Website and in the ISOPP Newsletter. The Strategic Plan is built upon the foundation established 20 years ago, and allows for further evolution of the organization to best address the current needs for oncology pharmacists. As cancer care and oncology pharmacy care evolves worldwide, so must this organization. There is a need for ISOPP to continue to expand to support the areas in the world just starting to develop oncology pharmacy. 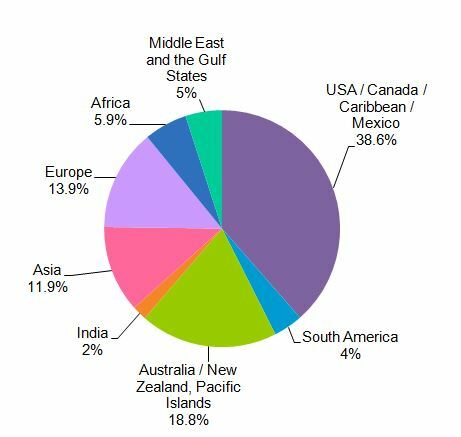 At this time, many ISOPP members live in countries or areas that have flourishing communities of oncology pharmacists. So much so, that the value of an international society may not appear to provide additional value. The value is the opportunity to advance oncology pharmacy services throughout the world. Each oncology pharmacist member is needed to enhance the mission of ISOPP to reach out globally to areas where oncology pharmacy is new and/ or struggling. We need your expertise, we need your community and with the implementation of the ISOPP Strategic Plan. We need your help. I am so excited about the work ahead for ISOPP. I am confident in the leaders you have elected to help take us to our future. The Secretariat and leadership of ISOPP is a group of individuals that represent the diversity of our profession in roles, country, age, experience and talents. The membership should also reflect that diversity. With the Strategic Plan there are many opportunities for more of ISOPP members to participate and lead. My concern for ISOPP stems from the fact that oncology pharmacists tend to be pretty busy people. The work we have ahead requires increased membership engagement – and I truly hope we will not only increase our numbers but also increase the involvement of members. Actively seek opportunities to volunteer in ISOPP that utilize your personal skills and passion. Identify oncology pharmacists you believe have something to contribute to our mission – and recruit them to ISOPP if they are not already a member. Learn about the ISOPP Strategic Plan. We will be presenting this plan during the AGM in Santiago, Chile at the ISOPP XV Symposium, and also available on the website following the meeting. In conclusion, I want to thank all the people that have made ISOPP an organization that supports oncology pharmacy practice across the world. My membership with ISOPP has provided an understanding of oncology pharmacy beyond the United States. And through my work with ISOPP I have been so very fortunate to have met people that both inspire and teach me …. even when they are many time zones away. The value of ISOPP to me is pretty much that – the ability to work with great people to advance oncology pharmacy. On behalf of the ISOPP Secretariat, I invite you to join us as we continue our work in advancing oncology pharmacy care across the globe. As the end of the calendar year approaches, I usually find myself reflecting on the past year. This year my thoughts are much more focused on the upcoming year. I find myself frequently thinking about ISOPP, our future and the opportunities for this vital organization. I believe 2016 will be a year of action as we implement our Strategic Plan. The last year has been busy for ISOPP as we took steps to assure the organization is positioned for the future. ISOPP members, partners and leadership provided their ideas that served as the foundation for the strategic planning meeting in August 2015. I initially thought that the two-day meeting was going to be the biggest challenge of strategic planning; I have learned that the real work is taking the plan created by the group and putting those ideas into action. Great ideas need to be developed into a feasible action plan, and ultimately this plan will be discussed with ISOPP members. The Secretariat continues the work of taking the idea(s) of the strategic plan to an actionable work plan. The next step is to share this with membership for feedback. We will be presenting the plan to ISOPP membership in April at the ISOPP XV in Santiago, Chile. A focus of the strategic plan discussion was the need to increase ISOPP’s role in global efforts of oncology pharmacy. ISOPP has a long history of advancing oncology pharmacy care throughout the world, and the strategic plan focuses on strategies to better engage and mobilize the oncology pharmacy community. As an international organization, we have a unique opportunity to work with oncology and pharmacy organizations throughout the world to develop resources to promote optimal patient care for the individual with cancer. ISOPP has, once again, participated with the International Network for Cancer Treatment and Research (INCTR) in the publication ofCancer Control 2015: Cancer Care in Emerging Health Systems. The collection of papers available in this publication is an effort by INCTR to bring together frontline experience and knowledge from across the globe to help address needs in the fight against cancer. A free online version of this publication is available at www.cancercontrol.info. One of the highlights of the upcoming year will be our annual meeting: ISOPP XV in Santiago, Chile from April 17 to 20, 2016. I hope you will be able to attend and spend time together with ISOPP members from around the world. At ISOPP XV we will celebrate the 20th anniversary of ISOPP. It is our time to thank those oncology pharmacy practitioners from across the globe that came together to collaborate on the ideas to help advance cancer care through oncology pharmacy. Our strategic plan builds on the foundation established by those pioneers. This is ISOPP’s first meeting in South America. This is a great opportunity to continue to further expand our membership across the globe, and to learn from our colleagues from South America. I have never been to Chile, and am excited to meet our South American colleagues and see their country. The comprehensive strategic plan for ISOPP will be presented at the general session of the meeting, and members will be able to continue to contribute to the planning. And, of course, education and networking will be the focus of the meeting. These are two of the aspects of ISOPP that I most enjoy. I look forward to each ISOPP Symposium to meet with oncology pharmacists and learn from their experiences. Over the course of twenty years, I have learned something from every presentation I have attended at an ISOPP Symposia, and I plan to continue that tradition in Chile. Just a few weeks following my trip to Australia – it was time to continue the ISOPP strategic planning process in Canada. As I mentioned, many of the Secretariat and ISOPP Committee Chairs met in Vancouver for two days of facilitated discussions to develop a strategic plan for the future. We were able to review the information captured from the membership (from phone interviews and the membership survey) and discuss what we clearly heard from you all. We did a lot of work in two days, and had some very important discussions. There is more work to do to have a comprehensive plan ready to share with you during our ISOPP Symposium in Santiago, Chile in April 2016, but we want to keep you informed with some of the ideas that seemed most important. The results from the survey of ISOPP members indicated that members support the ISOPP's existing mission statement. The voice of the membership and the ISOPP leadership was aligned, and we realized there is a need for an emphasized organizational commitment to collaborative action to further advance oncology pharmacy practice and ultimately improve care of individuals affected by cancer. I think saying that the members and leadership support the existing mission isn’t too much of a surprise, but it was essential to assure that vision and subsequent priorities identified during strategic planning are truly aligned with the vision of the organization and the members of ISOPP. The results from the membership survey also provided feedback on the importance of membership communication. Members value communication and the current strategies used for communication including, but not limited to, the Journal of Oncology Pharmacy Practice, the ISOPP Newsletter, and the ISOPP website are some of the most important aspects of ISOPP to members. As communication is valued, it is a key focus for our future. We will continue to focus on strategies to optimize communications. And thank you to everyone you that contributes to JOPP, the newsletter and website! After confirming our vision and mission, the next step was to determine priorities for ISOPP. That is really the challenging part of the process for me – focusing on key priorities. I realize that ISOPP needs to have focus to be successful. I also realize that focusing on key priorities ultimately means that we are not able to do everything I would like to do. What I discovered is that the ability to make priorities for an organization is much easier if you have heard from the membership – and we did. Additionally, it is easier to make priorities when you do so as a group of dedicated leaders – and we did. Long way to say – we left the meetings with a better idea of what our key priorities should be, and we are now determining the scope of these priorities for the strategic plan. The next step following the meeting is to develop a roadmap or plan for each priority to determine if the priority should be included in the strategic plan. So if I was reading this I would be thinking...what are the priorities?! There will be more to come on that topic in future communications. Once the Secretariat has reviewed the plans from proposed priorities, we will provide further updates. The full strategic plan will be presented at our upcoming meeting in Chile. Mark your calendar for the ISOPP meeting in April 17 – 20th in beautiful Santiago, Chile to provide your feedback on our plan. Thank you again for your help. Your candid insights were the foundation of our planning – and we will continue to need your thoughts and ideas. I left the meeting feeling energized about the future of ISOPP, and will continue to provide you with another update in November. Thanks for your continued support of ISOPP. 1. What best describes your location of your home region? 2. What best describes your connection to ISOPP? At the same time as the survey has been open, our consultant, Bandwidth Management has been undertaking benchmark research as well as conducting one-on-one interviews with a number of ISOPP current and former leaders to understand ideas, issues and opportunities. The results of the survey and interviews will be presented with the Secretariat at a meeting in Vancouver in late August. Once again, thank you for sharing your ideas to best support this planning effort. In May 2015, the ISOPP Secretariat launched a comprehensive strategic planning process to assure we are positioned for the future. We hope to develop a compelling vision for ISOPP that supports the efforts of our members and our profession. We feel it is essential that we include our membership in this process, as engagement in the strategic planning process is a cornerstone element. In partnership with our association management company, Sea to Sky Meeting Management, we have retained an expert in strategic planning for international associations – Bandwidth Management – to guide the Secretariat through the process and provide opportunities for you to share your thoughts and perspectives. Continue to visit the website! This page will be kept up to date to provide additional information about the process, and assure visibility on the progress of our strategic planning initiative. This is an exciting time to be part of ISOPP and we need you. You, and your ideas, are essential to ensure ISOPP continues to evolve to support global oncology pharmacy.